“If you’ve got that cast iron stomach and you’re not allocated to emerging markets, you might look back a couple of years from now and say, ‘I’m glad I took advantage of that,'” Lydon added. With the short-term rate adjustments being instituted by the Federal Reserve, investors can limit exposure to long-term debt issues and focus on maturity profiles. As a result, shorter durations are in favor on the fixed-income front to prevent prolonged exposure to a bond market that’s seen its fair share of rising Treasury yields as of late. In addition, Lydon mentioned a shift to more active fund strategies as opposed to passive strategies that provide broad-based exposure to the bond markets like the iShares Core US Aggregate Bond ETF (NYSEArca: AGG). 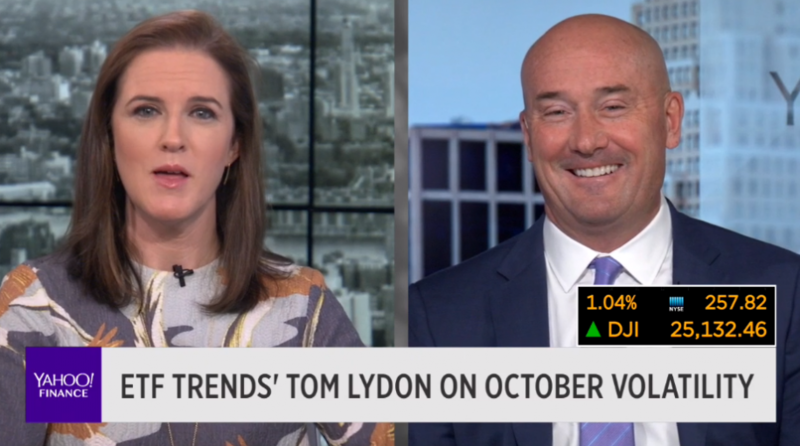 “On the fixed income side, a lot of people are shifting over to short duration and also active strategies we haven’t seen in awhile,” said Lydon. Examples of bond ETFs with short duration exposure include the SPDR Portfolio Short Term Corp Bd ETF (NYSEArca: SPSB) and the iShares 1-3 Year Credit Bond ETF (NASDAQ: CSJ). An ETF that implements an active strategy would be the newly-launched JPMorgan Municipal ETF (Cboe: JMUB), which taps into a municipal bond market that is rife with opportunities, but still overlooked compared to other specific areas of debt investments. At the Charles Schwab Institutional Conference in Washington, DC, Lydon was getting a pulse on the markets through the lens of financial advisors–the same individuals who witness firsthand what investors are and aren’t clamoring for when it comes to their capital allocations. So the question remains: If there is indeed concern, then how do advisors move forward with their clients’ portfolios?